Jewellery designer Shaun Leane has been working with historic jewellery house Asprey on two new collections, The Woodland Collection and The Fern Collection. Asprey said that Shaun Leane has been working with its in-house design team for the past year on the collections which are now being released. The Woodland Collection is a range of nature-inspired fine charm jewellery. 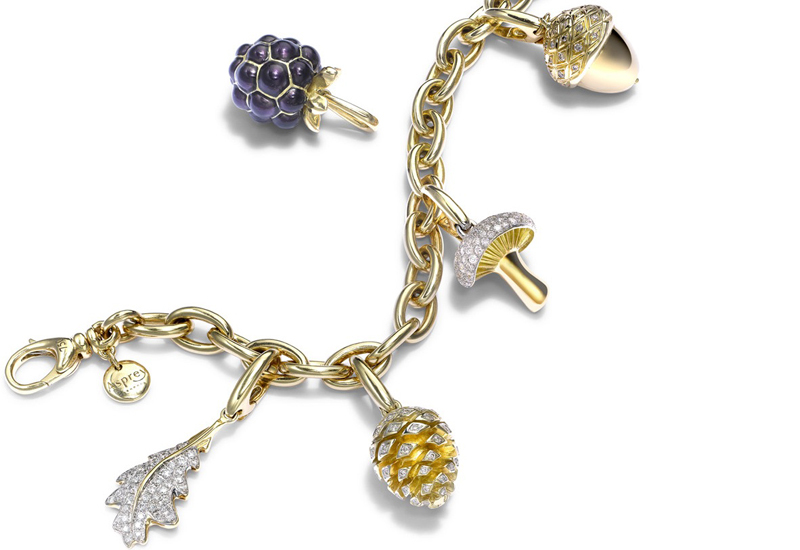 Within the collection are blackberry, oak leaf, pine cone, mushroom and acorn yellow gold charms decorated with diamonds or enamel that can be worn on either a yellow gold bracelet or a pair of diamond-set yellow gold hoop earrings. 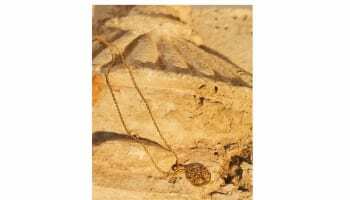 There are also two long gold necklaces in the range that feature delicate diamond-decorated oak leaves. Prices range from £800 to £3,800. Asprey said it will work with Shaun Leane on extensions to The Woodland Collection that will be released in summer, including a chestnut charm and emphasis on the oak leaf motif. The Fern Collection is a limited range of emerald, diamond and platinum jewellery inspired by ferns. The collection includes a ring with a large central emerald stone with a fern motif wrapping around it, a pair of earrings with a pair of oval emeralds on the studs and pear shaped emeralds in the drops again surrounded by entwining fern-inspired rows of diamonds with emerald-studded leaves, and a large collar necklace made from the dramatic fern motif and set off with a large pear-shaped emerald drop. All of the designs feature accents of black rhodium. 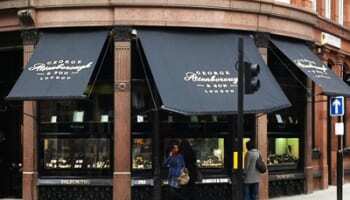 Asprey has not set prices for this collection but has instead said that prices are available on request. Leane has collaborated with a number of design houses and personlaities in the past inluding Alexander McQueen, Boucheron, Forevermark, De Beers, Sam Taylor Wood, Daphne Guiness and Clé de Peau Beauté.